Beautiful clear skin is the epitome of beauty isn’t it? Esthetically it is desired by many and often we find ourselves delving into the world of expensive creams and treatments all for the sake of having clear skin. What if clear skin all started from the inside out? Water – my favorite! Drink filtered water daily, at least 2L room temp (slightly cooler) is best. 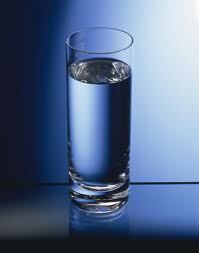 The key to getting enough water intake is to drink a large glass before your snacks and meals. This way you are not disrupting the digestion of your meals. Another way to drink more is… you guessed it – during exercise. The more active you are, the more water you will need simply because you are sweating (see number 3); this is a sure way to get more water in. Notice the connection here? Drinking enough pure filtered water helps keep skin clear. These 5 steps to clearer skin integrates a holistic approach focusing mainly on the internal body to complement the exterior such as fitness regimes. For an in-depth skin regime protocol or for extreme skin problems and conditions I recommend seeking professionals such as – ND, TCM Practitioner, Holistic Nutritionist, Dermatologist and or a Holistic Medi-Skincare Spa. Check out my blogs on skin and detoxification at www.holisticbeautylifestyle.com for more on this! Awesome article. Really useful advice! !